We Are Serious Professionals with decades of experience in Managing Building and Civil Engineering Projects Worldwide with Health & Safety being the main agenda. 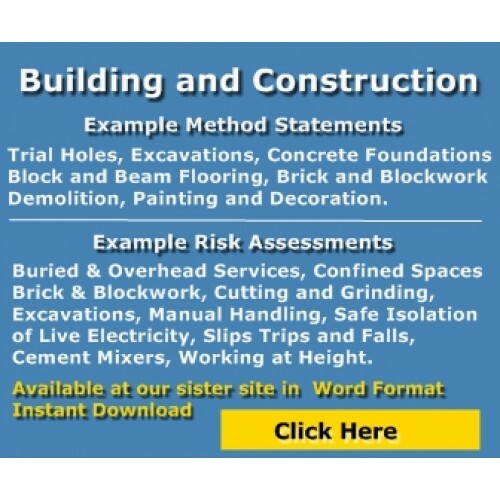 All our Method Statements and Risk Assessments in this mega pack will be of use to small and large firms, easy to adapt and edit to suit your own sites. We have put this pack together of the most common documents requested. 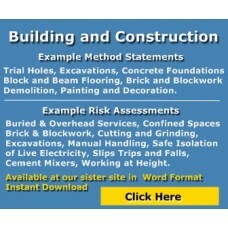 And a blank method statement and risk assessment template. Please note that these documents are zipped into a single folder, If you need help or do not have winzip or similar just email us after your purchase and we will send them as email attachments.